Majorero cheese continues conquering the world. The penultimate feat is located in the United States. 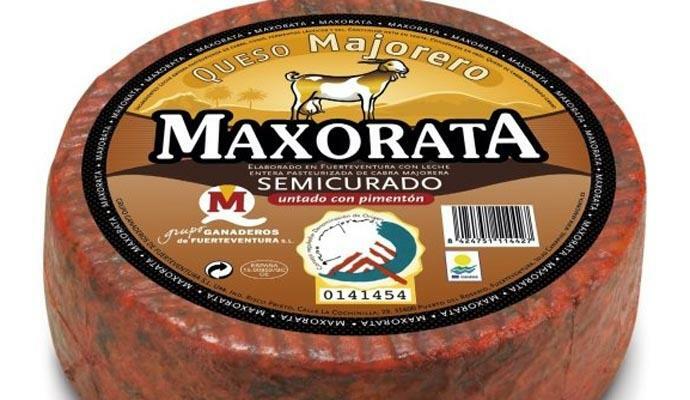 The Grupo Ganaderos de Fuerteventura achieved with the Maxorata brand of semi-cured goat’s milk with paprika to become the best of the balloon in its category in the World Championships Cheese World Contest. Also, it was raised in the same event with a second prize in the category of tender and semi-cooked mix with flavors with Alisios, an exclusive brand for the American market and that is sold elsewhere with the Selectum nomination. The majorero product participated with more than twenty countries and more than 3,000 cheeses. The insular cheese has managed to consolidate itself in the markets under a homogeneous and high quality product. The best proof of this is the numerous prizes won in competitions at all levels, national, international and regional, such as the Word Cheese Award in London, the Gourmet Hall in Madrid, the Word Cheese in the United States, Agrocanarias or those that annually call the Ministry of Agriculture and Food, among others. Still do not know La Isla Bonita?